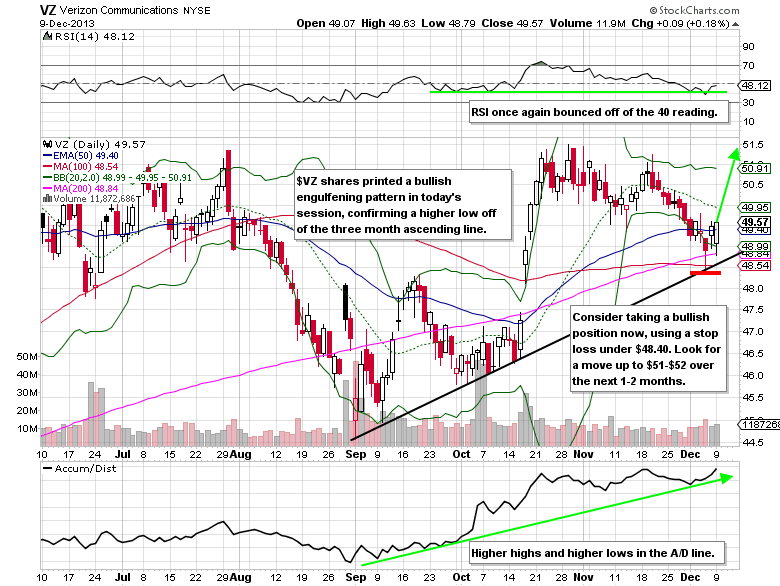 Notes: Verizon Communications (VZ) shares go ex-dividend on Wednesday, January 8th. The $0.53 dividend will be payable on Monday, February 3rd. Updates: Anheuser-Busch InBev SA (BUD) shares shed 0.14% today, but finished near the highs of the day. Check out all of the membership options here.